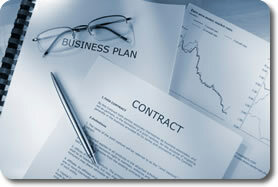 Business Formation - Thomas & Henderson, P.C. Owning a business can be both a rewarding and stressful experience. It is wise to seek the counsel of knowledgeable Grapevine business formation attorneys to properly guide you through the entire process. At the Law Offices of Thomas & Henderson, we go through a series of meetings with our clients in order to better understand their goals, motivations and protections they might need when setting up their business. This knowledge, coupled with our experience, allows us to navigate our clients through the paperwork-laden and often confusing process of business formation. Our attorneys believe that the best way to prevent disputes in the future is by protecting yourself in the present. We have a great deal of experience in drafting documents and advising business clients on the challenges they might face in the future — and educating them about the steps they can take now to avoid any issues. If you have questions regarding business formation in Texas, contact the Law Offices of Thomas & Henderson, P.C., to schedule a free initial consultation. Reach us by calling 817-358-8900 or by completing the contact form on this website.